"Put a bow in a kid’s hand and lead their family to the Lord—one-on-one." 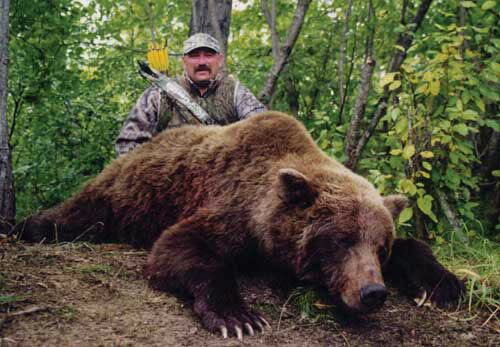 Kicking Bear, a registered 501(c)3 organization, is a nationwide youth outreach ministry that was founded in the year 1999 by world renowned bowhunter, Ray Howell, and is headquartered in La Crosse, Wisconsin. 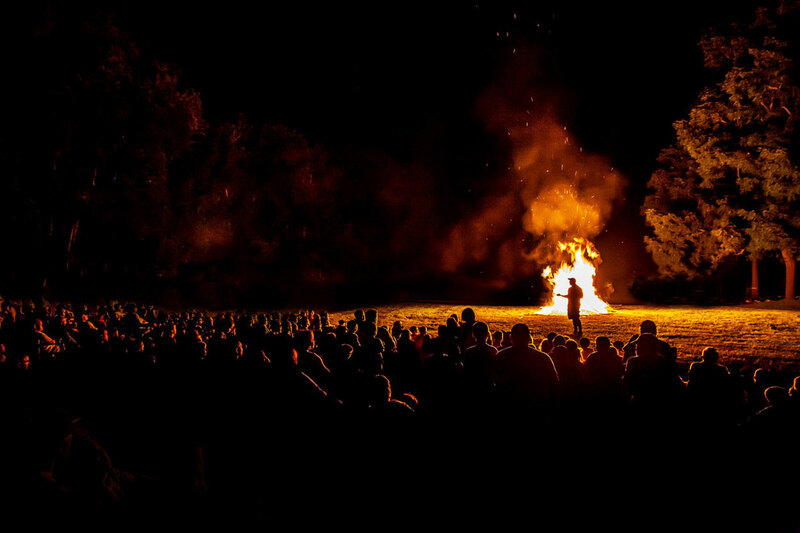 We use our summer campouts, adventure days, youth hunts, and year-round mentorship to reach underprivileged and at-risk youth and to let them know that God has a purpose for them, and that purpose is good. Many of these children would never have the opportunity to experience the outdoors and the sport of archery, had it not been for Godly men and women who stepped into their lives. By encouraging others to reach outside their homes and become mentors, we can help break the cycle of broken families and put dreams in these kids’ hearts that will change not only their lives, but their families’ lives to come. As Christians, we follow the beliefs as written in the bible. We do our best to let each and every one attending a Kicking Bear event to know that the great outdoors is one of God’s creations, and a special gift to us meant to be shared by all! 1. We believe in the Triune God ~ Father, Son and Holy Spirit, Creator of all things. 2. We believe that the Lord Jesus Christ, the only begotten Son of God, was conceived of the Holy Spirit, born of the Virgin Mary, was crucified, died, was buried, was resurrected, ascended into heaven, and is now seated at the right hand of God the Father and is true God and true man. 3. We believe the Bible in its entirety to be the inspired Word of God (God breathed) and the infallible rule of faith and conduct. 4. We believe that God created Adam and Eve in His image, but they sinned when tempted by Satan. In union with Adam, we human beings are sinners by nature and by choice alienated from God and under His wrath. Only through God’s saving work in Jesus Christ can we be rescued, reconciled, and renewed. 5. We believe that Jesus Christ, as our representative and substitute, shed His blood on the cross as the perfect, all-sufficient sacrifice for our sins. His atoning death and victorious resurrection constitute the only way for salvation. 6. We believe every believer is called to live so in the power of the indwelling Spirit that he will not fulfill the lust of the flesh but will bear fruit to the glory of God. 7. We believe in personal salvation of believers through the shed blood of Jesus Christ. We believe in sanctification through the Word of God and by the Holy Spirit. 8. We believe in the Christian’s hope ~ the soon-coming, personal return of the Lord Jesus Christ. 9. We believe we will live forever—and not just live forever, but we will live forever with Christ—and not just that, but we will have glorious bodies that are like his, with power and glory and life that’s far better than what we know now. 10. We believe the Lord Jesus Christ commanded all believers to proclaim the Gospel throughout the world and to disciple people of every nation. The fulfillment of that Great Commission requires that all worldly and personal ambitions be subordinated to a total commitment to “Him who loved us and gave Himself for us.” We believe we are disciples sent into the world to make disciples. Religion that God our Father accepts as pure and faultless is this: to look after orphans and widows in their distress and to keep oneself from being. 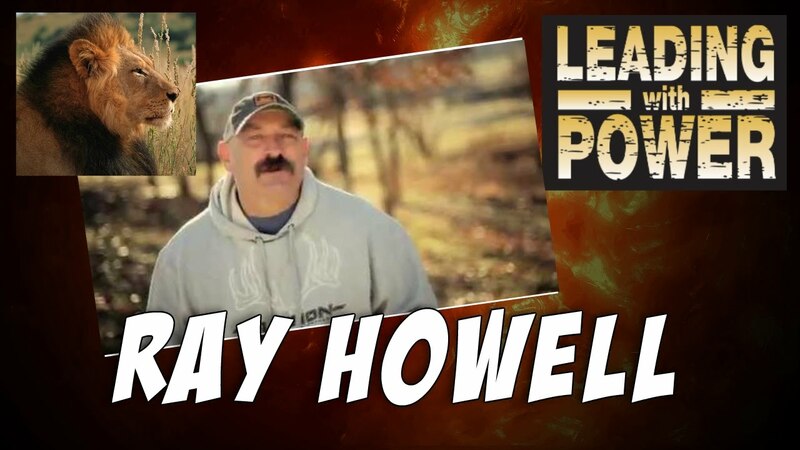 Ray Howell’s youthful years were filled with boyhood dreams of hunting and fishing. Due to being fatherless and having to work daily on his foster parent’s farm, Ray never thought these dreams could become reality. Being without a father, he didn’t have a role model to teach him about hunting and fishing. However, Ray’s social worker, Tom Poukey, decided to take him under his wing. Tom took Ray on his very first white-tail deer hunt during his high school years. He eventually harvested his first buck when he was 20 years old. He was hooked! Ray went on to travel the world hunting big- game animals with a bow in his hand and was an icon of the hunting industry. This was made possible from three successful businesses that Ray had owned, starting when he was just 23. His competitive nature carried over into fitness where he became involved in powerlifting. Like archery, he trained hard and was able to successfully break several drug-free, national and world records. Everything that Ray’s mentor Tom had told him as a boy was coming true. He later took first place in the open class, master’s and ultimately was awarded the best overall lifter trophy. Ray has successfully harvested many P&Y white-tails. Following his boyhood dreams had taken him to the frigid cold and snow of the Arctic, the wilderness areas of Mexico, throughout the forests of Canada, the remote regions of the Yukon, and in many of the 5- states on his quest to harvest the 29 North American big-game animals. Travels to Africa has allowed Ray to harvest a variety of plains game, which has also been a dream come true for him. Ray is married to his wife Karen with a family of 9 children, 30 grandchildren, and 12 great-grandchildren, and lives in Southeastern Minnesota. 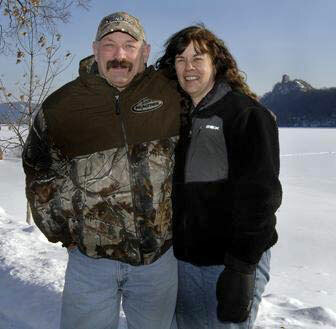 Realizing his boyhood dreams have not only enhanced his love for the sport of archery and bow hunting, but have also provided him the means to start a program for underpriviliged and at-risk youth throughout the United States. Kicking Bear Ministry has allowed thousands of kids to learn about God through the sport of archery and the outdoors. It teaches kids that God has a plan for everyone and his plans are for good.